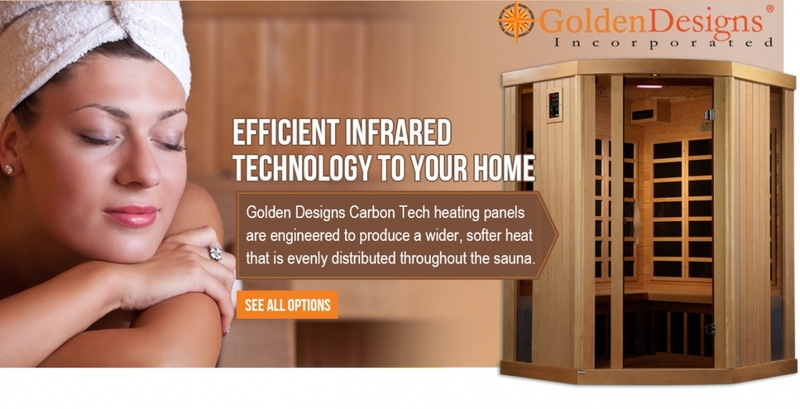 Golden Designs Saunas brings healthy living and longevity to the privacy of your home. A beautiful and worthwhile addition to any fitness room and could be incorporated as a part of your fitness routine. Our innovative Carbon Tech heating panels are engineered to produce a wider, softer heat that is evenly distributed throughout the sauna. See and feel the difference today! chair or your car seat. It relieves back buttock pain and sitting fatigue. Highly durable. 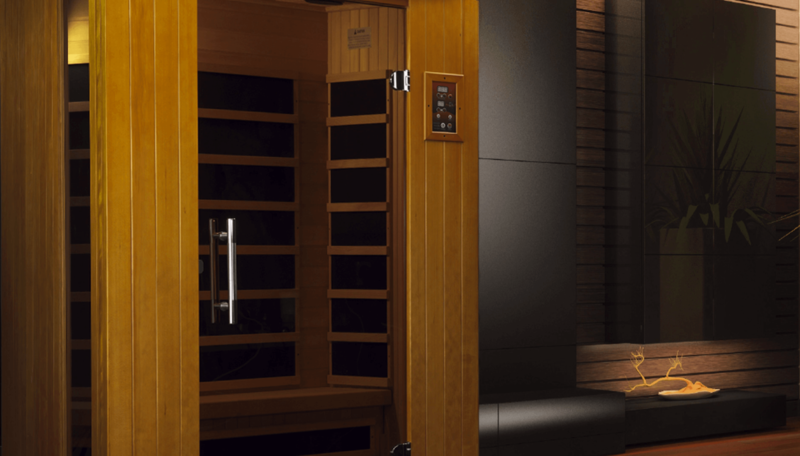 Engineered to produce a wider, softer heat that is evenly distributed throughout the sauna. Interior and exterior LED control panel. Heating panels cover a significantly larger surface within the sauna. Get the relaxation you deserve! 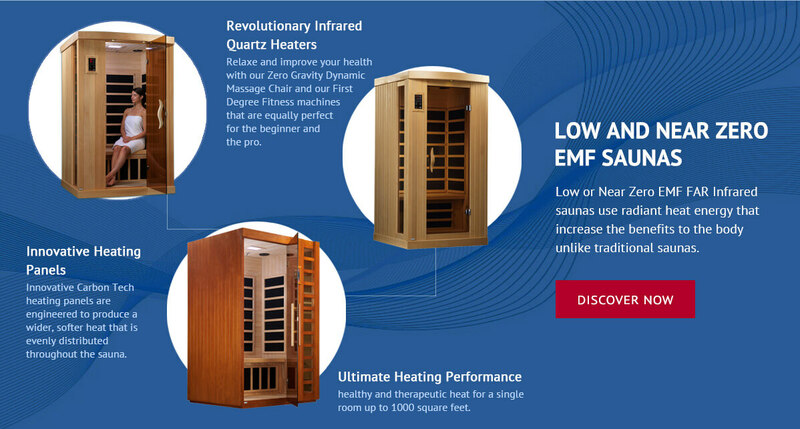 Infrared saunas create an environment that allows radiant heat energy to be absorbed into the human body. It promotes a host of revolutionary benefits that heat the body in a way unlike the traditional sauna.